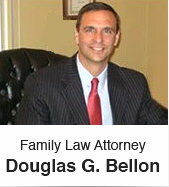 The Saint Charles divorce lawyers at the Bellon Law Group offer eastern Missouri clients focused, individual attention, sound legal strategy and aggressive, practical solutions to their legal challenges. Our firm focuses exclusively on family law matters including divorce, division of marital assets, legal separation, child custody, paternity issues and child support; the implementation of estate planning strategies and the issues surrounding the injury or death of a loved one. We pride ourselves on working on behalf of our clients to get an attentive understanding of all facets of our client’s legal issues, on communicating with our clients so that they have a clear understanding of their legal challenges and on aggressively pursuing the relief or outcome that is in the best interest of our clients and their families. With this approach our clients are better able to take those steps necessary to put themselves in their best possible position while their case is pending once their legal challenge is resolved. Call 636-949-3111 today to set up a consultation to discuss your Family Law, Estate Planning or Personal Injury or Accident issues. We understand that our clients are often dealing with their first experience with our legal system and our ability to explain and advise them, through an often confusing and daunting process, is critical to our client’s best interests. If you are presently faced with a Family Law legal challenge or simply have questions about a family law or estate planning matter our Saint Charles divorce attorneys also encourage you to visit our blog at stcharlesdivorcelawyerblog.com. "As Lawyers we understand that we are first and foremost advocates for our clients in our legal system. But, as their advocates it is absolutely critical that we really listen to their challenges and likewise communicate with our clients in a manner which best allows them to be a knowledgeable participant in the legal process."